Today we will be discussing a very useful WordPress plugin called WP Clone by WP Academy. This plugin can be a great tool for copying and moving WordPress websites from one domain or one hosting to another, all done within the WordPress Dashboard. This is a great advantage as most traditional methods of moving WordPress sites involves moving the actual content files, and then the database which can be a time consuming process and can be considered compilcated for the average user. With WP Clone this is a worry of the past as moving and copying WordPress websites is now as easy as installing the plugin, following the instructions and being presented with a back up link to be used in the new hosting or domain destination. This can be particularily useful for instances where a WordPress user has set up a website and would like to use that set up as a base for future projects, then all you would need to do is create a WP Clone URL of that set up and then you would be able to install the clone using WP Clone. Other uses would include creating copies of websites used for development or testing purposes and moving domain names while still keeping your existing WordPress site. 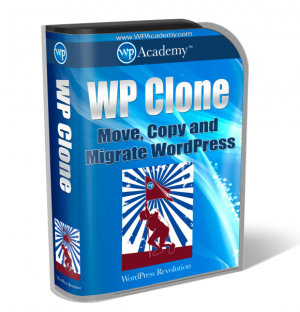 WP Clone doesn’t require database, SQL or any other FTP access, to install the cloned version all you would need to do is install a new WordPress on the destination site, upload and activate WP Clone plugin, and follow the instructions which would be to apply the previous clone URL to activate the clone. WP Clone doesn’t backup or restore the core WordPress system files which reduces the size of the clone and reduces the upload time to restore a site. Only the actual user content, themes, databse and plugins are cloned, which are the actual files needed. The plugin fetches your websites backup via your host’s direct http connection, which results in the user not needing to upload large files yourself through your own internet connection. “WP Clone fails in 10-20% of installations. As such it is NOT intended as a regular backup method, its strength consists in migrating WordPress installations. The failures appear to be related to the multiplicity of WordPress hosting platforms and the size of the installation rather than the WordPress version”. In addition to the above disclaimer, ensure you read the “Recommendations for using (or not) WP Clone” on the WordPress plugin page to assist in using the plugin correctly. The above disclaimer and recommendations need to be kept in mind when using WP Clone, but this is definitely a useful WordPress tool and can save you a lot of time and effort when used correctly for WordPress website migrations. 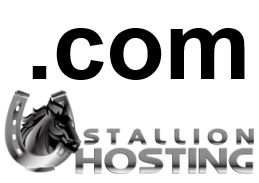 Stallion Hosting – Web Hosting South Africa – You Can Bet On Us! The .com domain name is the best recognized Top Level Domain (TLD) in the Domain Name System (DNS). The .com is an abbreviation of commercial as it was originally intended for commercial use, but this restriction was never regulated and has since disappeared entirely. Today .com domain registration is a simple and easy process, with anyone being able to register a new .com name. The first .com domain registered was symbolics.com on the 15th March, 1985. Since then .com has grown into the largest of all the TLDs and a new .com is registered every six seconds. In December 2011 it was reported that 100 million .coms were registered and of the 147.6 million domains across the TLDs today, 111.3 million are .coms. This is an indication of the popularity and the trust invested in the .com address. The US Department of Defence originally administered the .com domain. They contracted this out as .com was being used mainly for non-military interests and in 1993 the National Science Foundation took over. 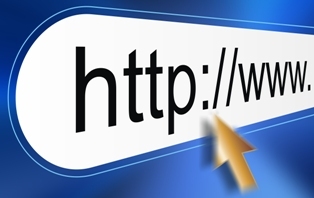 Until 1999, there was a sole registrar for domain names, but this changed with the introduction of the shared registration system under the Internet Corporation for Assigned Names and Numbers (ICANN). It is the competition created by this shared registration system that allows you, the end-user, to pick and choose what services you want and at what price. And while it was once a complex legal matter to transfer a domain name from one domain host to another, it is now a relatively simple procedure. Internet .com competition reached its peak in 1997-2001, a time known as the dot-com bubble. The increased commercialization of the internet together with the arrival of the World Wide Web and the first internet browser was a time of intense speculation on the stock markets. This resulted in the failure of many internet companies, while others like Amazon.com weathered the period well and went on to prosper equally spectacularly. 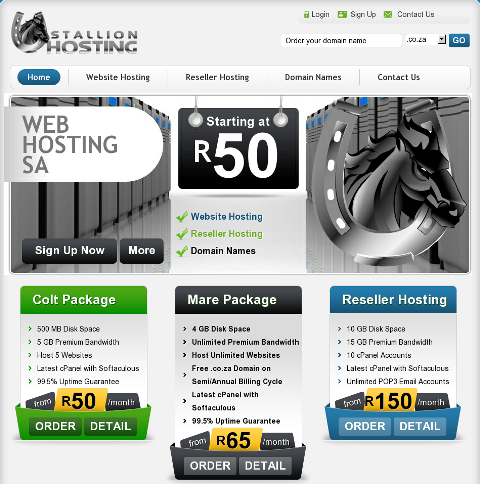 Stallion Hosting offers affordable .com domain registration services, as well as many other TLDs including .co.za .net .org .info .biz .co.uk and many more. Visit the Stallion Hosting Domain Registration page for a full list of TLDs on offer, and if needed you are welcome to contact us with any requests for specific TLDs/extensions and we will gladly assist you. Although this blog is mainly about website hosting and related topics, now and then we like to add some fun as well as internet related news and info. The latest craze is the YouTube video by Ylvis entitled The Fox – What Does the Fox Say? This video has gone viral and it has even been called the next Gangnam Style. It was also recently played on E-TV news, so that just shows how popular it has become. Since being posted on 3 September the video has racked up more than 129 million views with no sign of slowing down. Stallion Hosting is proud to announce a new look website which was recently launched. The design focuses on convenience, easy navigation and an upgraded client area.